The number 3 has a lot of significance for me so I thought it was really cool to see it show up on the grid so much. Throughout Tron: Legacy the number 3 appears many times. Sam Flynn is combatant 3 so it shows up multiple times during the games, including on his helmet. It shows up on the floor of the recognizer, on the floor of the armory, on doors and in Kevin Flynn's light cycle. Does anyone know why Joseph Kosinski decided to use this number so much? What's the significance with the number 3? RE: why the number 3? Kat Wrote: Has anyone ever asked him in an interview? Thanks for the response, Kat. I'm not sure if he has been asked that question in an interview. I'm thinking that something hidden so inconspicuously must be something personal. Maybe it's his signature. I wonder if the number 3 shows up in his other work. and the number 3 in the movie. But it's hard to know for sure! Maybe it's because Sam is the third "Flynn" on the Grid? If you think about it, Kevin was the first, then he created CLU (which was an exact copy of Kevin himself, so therefore, the second "Flynn"), and then Sam shows up, and it's the third "Flynn". 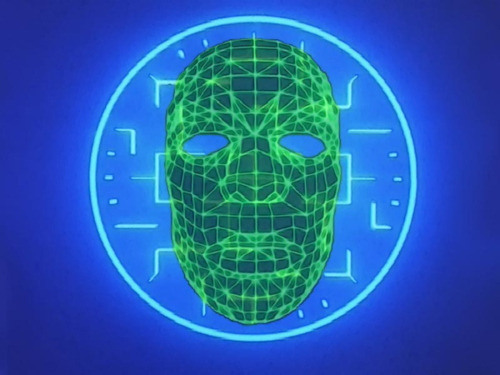 Maybe the Grid recognizes the three different entities of "Flynn"? I don't know. But it definitely would be a good question to ask Joseph Kosinski.